Animoto's cloud-based video creation service makes it easy for anyone to drag and drop their way to create powerful and professional videos. Videos can be created from scratch or using prebuilt storyboards specifically designed for reach and engagement on Twitter and other social networks. Once created, you’re one click away from sharing to reach your audience on Twitter. Unlike timeline-based editing software, Animoto makes video creation easy for the nonprofessional editor. Customize your look, video clips, photos, and collage blocks, and choose from the library of commercially licensed music to share your video ads on Twitter. 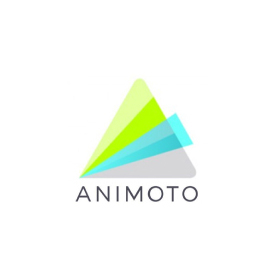 WIth no video editing experience required, Animoto allows users to create high-quality videos with dozens of professionally designed video styles, 1,000+ licensed songs, unlimited HD video creation, and square (1:1) videos now available.